Although you will see amazing results after just 1 treatment, for a long lasting lifting effect we recommend a course of 10 treatments over a 5 week period. Feeling hesitant to step out of the house, take pictures or socialise in parties and celebrations due to embarrassing wrinkles? Do you feel self conscious by looking older than your actual age because of those premature wrinkles on your face? If the answer is yes then, it’s time you try a simple, almost natural and pain-free alternative to a traditional Face Lift. CACI is a non-surgical, electronic intensive beauty treatment that firms the facial muscles by toning and recharging them whilst you relax. This face lifting procedure prevents sagging of the skin and irons out existing facial creases, plumping and retexturising skin from within. 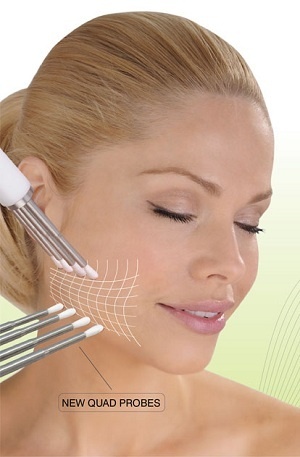 Computer Aided Collagen Induction (CACI) is a professional facial therapy which promotes collagen secretion, decreases pigmentation as well as increasing blood circulation to the face. As a result, the facial cells are reprogrammed to work effectively at preserving younger skin as well as being rescued from the ageing process they have been through. The treatment makes use professional equipments such as ‘electro buds’, ‘microcurrent rollers’ and ‘wrinkle comb’ (all for toning muscles) alongside a charged hyaluronic gel mask (for hydration) and LED light therapy (for blemishes, acne and scars) to flex facial muscles, acting as a fitness session for them. Minute yet relaxing electrical impulses are transmitted into the skin via probes with cotton tips. These micro-currents stimulate the facial cells to promote the production of collagen – the protein responsible for keeping skin taut and supple. In order to accelerate the effect of treatment, the buds have a special serum filled in them. Also consisting of an intensive exfoliating session such as Microdermabrasion for encouraging skin cell turnover, the treatment leaves the skin looking blemish free, toned, smooth and glowing. CACI can be carried out on the cheeks, jaw-line, chin and area around the eyes. While single-tipped probes are used normally, dual-tipped probes produce immediate effects to either relax or tighten muscles. Difficult to tone areas like the jaw-line, T-shaped bars are used to treat saggy jowls. The treatment is especially effective for people affected with acne scarring, rashes, oily skin, dehydrated, dry skin and such other problems. At Shumaila’s well-experienced professionals handle the instruments tactically to redefine the face. The professional staff is well-qualified and specialises in skin and beauty treatments. An instant Face lift treatment by CACI takes an hour to complete at Shumaila’s Beauty Clinic. This is the same amount of time that an intensive facial would take at beauty salons hence if you are looking for professional facial lifting treatment on specific areas such as the eyes, then opt for CACI instead as a bespoke treatment can be carried out by us on request. The experts here complete the procedure in not more than half an hour leaving you fresh and rejuvenated and ready to get on with your daily routine. After a CACI treatment at Shumaila’s, you generally do not have any downtime unless your skin is extremely sensitive. If you are troubled by double chin, sagging jowls, loose and wrinkly under-eye area, eye bags, uneven skin tone due to acne scars and pigmentation, CACI will work wonders at boosting your confidence and making you appear 10 years younger instantly. Especially beneficial for darker skin tones who suffer from scars due to acne in their teens or pigmentation. An equally popular anti-ageing measure amongst men and women over the age of 30, this celebrity’s favourite red carpet treatment is perfect if you are looking for a face lift without the pain, scars, downtime and expensive costs. CACI Hydratone is a treatment developed by CACI International to suit busy bees with a hectic lifestyle. If you find yourself juggling between different tasks throughout the week, this express treatment is on-point to cater to your skin’s hydration and nourishing needs. Within a short amount of time, via the use of advanced equipment and potent products, visibly brighter and radiant results can be achieved. Combining active micro-current hydratone rollers with a unique, electrically conductive hydro smoothing gel mask infused with powerful hydrating properties. As the hydratone rollers are used to gently massage the face, the mask becomes charged so that the whole face is bathed with rejuvenating energy whilst improving lymphatic drainage, giving the face a remarkably softer, radiant and more youthful appearance. The action of the rollers over the hydro mask drives the ingredients deep into the skin tissue, quenching dehydrated and mature skin. Always wanted a contoured supermodel-like chiselled jawline with no sagging jowls or extra skin lurking around the cheek and chin area?Here’s your answer. A completely painless 15 minutes treatment targeted towards the lower half of the face, which will use gliding motions in stationary and dynamic manner to lift, tone and firm the facial muscles around the jaw, lower cheek and chin area. Unlike cosmetic surgery – there are no scars, no tell-tale signs and absolutely no pain during and post-treatment which may require downtime. The advanced skincare facial boasting of new quad probes, incorporates an effective cleanse & tone and finishes off with an application of Amino lift peptide complex serum to prolong the effect of the facial. Targeting the upper half of the face, the peeper picker-upper is all about lifting up sagging eyelids, re-educating the muscles around the eye area and basically opening up the entire area to make it look brighter, younger and more awake. Eye are the windows to your soul so leave a great impression by taking care of them with some much needed nourishment and hydration. The skin around them is 3 times more delicate than the rest of the face hence CACI has formulated something that’s gentle but equally effective. The express 15 minute treatment is great to have on it’s own if you want a concentrated boost around the upper half of the face. 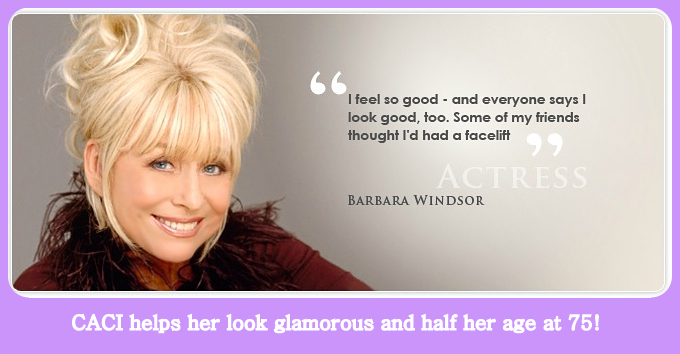 But it’s brilliant combined with other CACI facials too – ask your therapist for effective treatment combinations. Ultimate eye treatment works on the upper half of the face focusing on the eyes and includes Microdermabrasion for upper half of the face around the eye area. Half of the Hydratone gel eye mask is also applied alongside added benefits of the Wrinkle Comb with L.E.D light therapy to plump fine lines and wrinkles. Perfect for those suffering from dead skin cells, sun spots and hyperpigmentation around the eye area. The treatment works great at zapping fine lines and wrinkles and can act as preventative measure as well. If dark circles, eye bags and sagging skin have always bothered you, this intensive treatment will tick all the right boxes. Microdermabrasion with Hydratone is a Microdermabrasion treatment to exfoliate skin thoroughly yet gently. it’s an orbital Microdermabrasion instead of using crystals where the hand piece of the equipment also has light coming out of it. As a client you can choose to have this light on or not, depending on whether you feel your skin will benefit from light therapy. An all rounder, this facial treatment by CACI will quench dry skin, balance dehydrated skin, slough off dead skin cells and provide anti-ageing benefits for glowing, youthful skin. More geared towards achieving brighter, radiant skin and cell renewal – it’s suitable for all skin types, even young. Includes the use of quad probes to lift the lower part of the face and double probes to do the upper part of the face, Non-Surgical Face Lift is our best seller that’s loved by celebrities and raved about by magazines. It’s multi-action process targets the entire face – be it a wrinkle forehead, wrinkles around the eyes, parched cheeks or smile lines around the mouth. Including a dynamic lifting of the full face, involving muscle re-education and a through workout for facial muscles – it provides stunning anti-ageing results that is compared by the press for being equivalent to that of cosmetic surgery. Similar to the Non-Surgical Face Lift above, the Super CACI is the extended version of the above, where 75 minutes are spent on the entire treatment. Giving a therapist more time to work on every lifting movement and giving you a greater time to relax. If you have tried the Hydratone facial on it’s own before and have enjoyed the benefits of the nourishing face mask – this treatment takes it one step further by combining it with the classic CACI Face Lift. Providing twice the results compared to Hydratone on it’s own, the facial takes care of both anti-ageing and dry skin needs. Whether your skin concerns consist of pre-mature ageing, fine lines, wrinkles or dehydration and chapped skin – the all rounder facial treatment will ensure skin is left in first class condition post-treatment. Perfect for adding a youthful glow that stays with you for weeks! Particularly suitable for mature, dehydrated skin types. The queen bee of all CACI treatments, the extensive, all-inclusive picker upper cannot be faulted. Including a Microdermabrasion, L.E.D, Face Lift, Wrinkle Comb and Hydratone – skin will be exfoliated, protected from ageing and lifted toned and contoured. Wrinkles and fine lines will be smoothed out and softened and skin will quenched with a veil of a super moisturising mask. The treatment increases better absorption of products and encourages lymphatic drainage which can treat bloating or puffiness on the face. A 90 minutes treatment, it’s perfect pre-wedding, before a special occasion or just to give your skin a very special treatment. We’re sure you’ll come back for more! Always wanted a contoured supermodel-like chiselled jawline with no sagging jowls or extra skin lurking around the cheek and chin area? Here’s your chance to achieve the young and svelte look without going under the knife. The latest facial by skin experts CACI take it up another notch after being termed as UK’s best anti-ageing facial provider by introducing their highly anticipated and brand new CACI Jowl Lift Facial. The biggest tell-tale sign of a person’s real age may not be their wrinkles or crows feet as thought of but in fact their sagging jowls which separate the face and neck area hence being rather more prominent. Thankfully, CACI has a solution to that. Their facials use something called the microcurrent which mirrors the body’s own electrical field – meaning it’s not alien to the body hence is a safe and natural process but with extremely effective results. What to expect from CACI Jowl Lift Facial? A completely painless 15 minutes treatment which will use gliding motions in stationary and dynamic manner to lift, tone and firm the facial muscles around the jaw, lower cheek and chin area. Some clients expect slight tingling of the skin and a hint of metallic taste in the mouth during the treatment, but unlike cosmetic surgery – there are no scars, no tell-tale signs and absolutely no pain during and post-treatment which may require downtime. There may be slight pressure from the probes manipulating the muscles. The 15 minute advanced skincare facial incorporates an effective cleanse & tone and finishes off with an application of Amino lift peptide complex serum to prolong the effect of the facial. Who is the CACI Jowl Lift Facial for? For those worried about sagging cheeks, wrinkly chin or a double chin. Skin can start drooping south as we age – wrinkles can crop up or you can develop a double chin. All these can be taken care of with a series of CACI Jowl Lift Facial which can provide a good workout for the facial muscles and get them in shape. For anyone wanting to dip their toes into CACI range of advanced facials. The short treatment is carried out on a particular area and stimulates the the muscles quite gently to start with and then building up the intensity, so the skin gets used the microcurrent. Carried out at a lower intensity, it’s the perfect first treatment to try from the CACI non-surgical bundle. For those who are looking to battle wrinkles. There is a secondary effect the anti-ageing facial has on wrinkles, which are more obvious when the skin is sagging but when lifted after the CACI Jowl Lift Facial, the wrinkles become less obvious. Skin looks more supple, plump and taut. 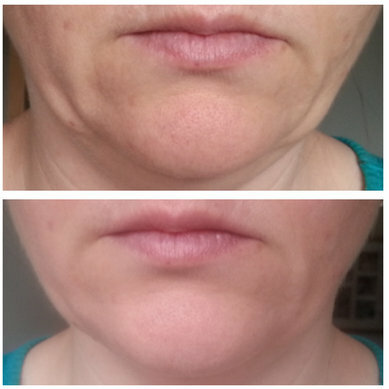 Say no to jowl lift lotions and potions, mini face lifts or surgery. CACI Jowl Lift Facial in London is a modern, advanced and pain-free way to battle the evil ravages of time and turn the clock back when it comes to youthful beauty.